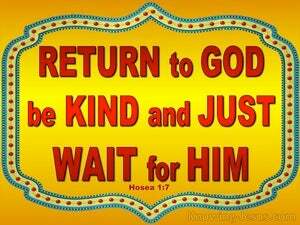 There are many stories in the Bible that God uses to paint a striking word-picture of His love for His people Israel, and the lives of various characters in scripture are used in different ways, to illustrate God’s message of redemption, and teaches us some important lessons. 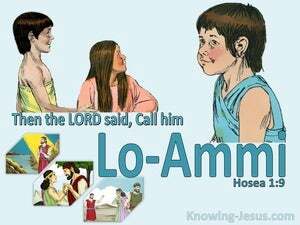 Hosea was used by God as a human picture of the incredible love of the Lord towards His people. 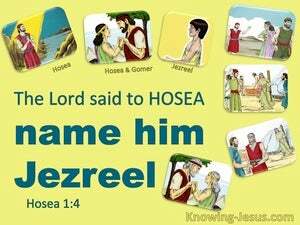 The marriage of Hosea to his adulterous wife Gomer, not only paints a precious portrait of God's never-failing loving-kindness towards His people.. but also portrays the unalterable justice of a holy and righteous God, Who cannot look upon sin - but Whose character demands righteous judgement of the sin of the whole world. 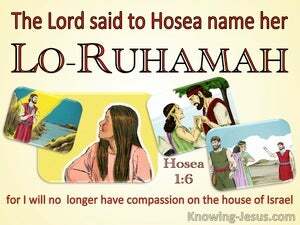 God used Hosea's grievous relationship with his wife and the names of their three children to convey an important message to Israel, about their fractured relationship with God, which would result in their punishment and judgement, but would one day end with their restoration and redemption.